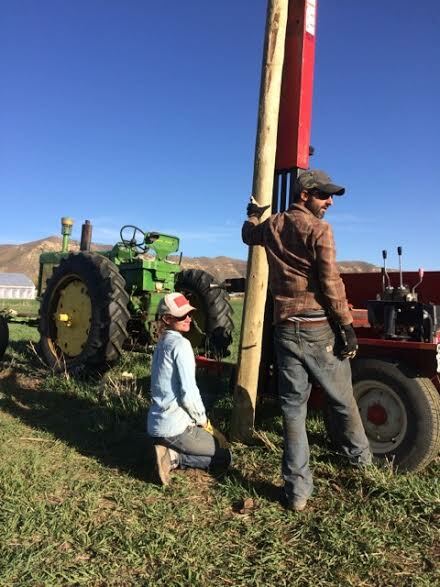 Harrison Topp, farmer from Mancos, CO, and Daphne Yannakakis, farmer at Zyphros farm, talk irrigation hardware at Farm Hack West Slope Colorado. On the small-scale farm, the only guarantee is that there are no guarantees. This fact makes resiliency—the ability to recover from or adjust to misfortune or change—an essential trait, especially for small, young and beginning farmers. 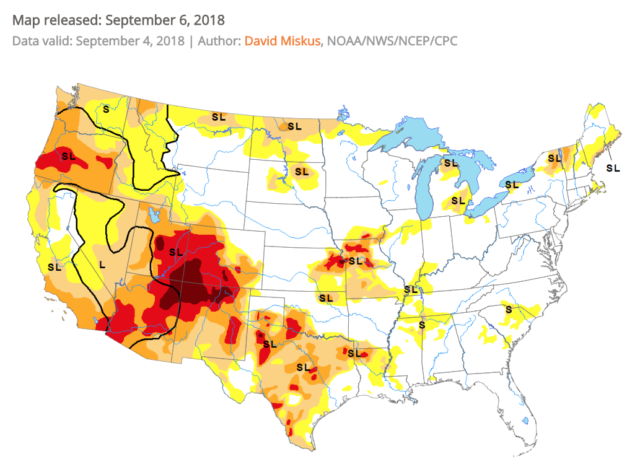 As we in the west face extended drought and increasing demand for good food and water, we must continue to ask what it will take to ensure our farms remain resilient and thriving. Last weekend, NYFC, the Valley Organic Growers Association (VOGA) and Farm Hack teamed up to bring farmers, ranchers, farm advocates, agriculture policy professionals and water experts together in western Colorado for the first-ever drought resilience Farm Hack: “Building drought resilience on the small-scale farm.” The day began with a farm tour at Zephyros Farm in Paonia, CO and was followed by presentations from local professionals on topics as wide-ranging as sustainable irrigation practices, climate variability and the trends and policies surrounding the future of the Colorado River Basin—the primary water source on which we in the west depend. The rest of the day was spent discussing the key elements to resilient arid lands agriculture. 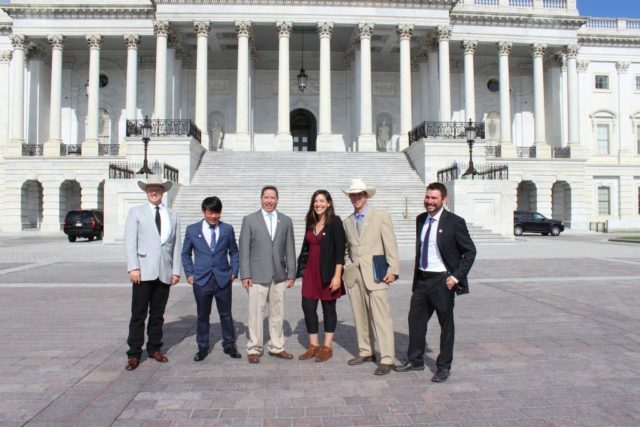 The collaboration between Colorado agriculturists and ag-industry professionals confirmed that resiliency—especially in terms of water—will be essential for sustaining agriculture in the West. The consensus was that resiliency includes not only innovative technology and management but also greater social capital: stronger networks, more data-sharing and story-telling and a broader-based community on which to rely in particularly tough times. This Farm Hack demonstrated that horizontal exchange of knowledge and information best taps into the community’s ability to negotiate the challenges facing healthy food production and reinforces the necessity of the goals for which all of us building the young farmer movement are striving. From this, we developed two online platforms, or Wikis: the first being a tool to generate new ideas on what is needed for agricultural resilience; the second Wiki, the virtual “Coffee Shop” where farmers can share pertinent data, on-farm practices and stories. Open-source sharing is applicable nation-wide, not just in the West. If a room of 30 farmers and like-minded community professionals can generate realistic strategies for resiliency, then a national community of farmers and allies with engineering, architectural, design, and marketing skills can lean on their collective ideas and experience to collaborate and form guidelines for resiliency in agriculture. Agriculture has always required resiliency, but we are at a new crossroads with increasing variability. Coping with these changes requires creativity and significant adjustment in on-farm practices. Resiliency and the adjustments that make surviving challenges doable are learned tools. While these tools for resilience are learned, they are also sharable. As a young farmer, I understand the apprehension associated with jumping into agriculture for young people. Today, farming is an occupation rife with uncertainty; between climate and market variability and a confusing political arena, farming is an intimidating occupation. Many young people are willing to work hard at their job, and small-scale farming makes sense, but no one wants to opt for a job that promises financial hardship and constant stress. The more we work to make open sharing of information available to young farmers, the more uncertainty will be redressed for beginning farmers. Strengthening the collaborative information sharing efforts within our communities will continue to yield useful guidelines for resiliency. Providing these resiliency guidelines will be a step forward to attracting the nation’s bright and ambitious young people to take up the mission of raising healthy, sustainable food. Kacey Kropp is the Policy and Regional Organizing Intern for the National Young Farmers Coalition. He lives in Paonia, CO and farms on his family’s third-generation orchard, First Fruits Organics Farms.